CLICK HERE TO JOIN OR RENEW FOR 2019! The Baton Rouge Bike Club is a member-supported organization. We provide free rides throughout the year, several events, as well as advocating for bicycling in the local area and statewide. Your membership helps support these activities as well as adding your voice to let policymakers and officials know that you support our work. Additionally, BRBC membership provides a benefit that we hope you never need – additional insurance coverage. As a member of BRBC, because of our affiliation with the League of American Bicyclists (LAB), we receive insurance to provide medical coverage for club member participants in all BRBC activities. We hope that no member ever has an accident, but it’s nice to know that help is out there in case it is needed. Currently, membership dues for 2019 are $25 and are good for the calendar year. Dues paid in the 4th quarter of the year, Oct – Dec, will be applied to next year. 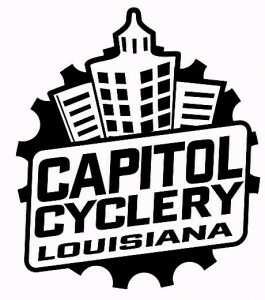 Members receive a free Baton Rouge Bike Club Car Decal (which can be picked up from ride leaders or at Club events) and also enjoy discounts from select sponsors. See more here! Membership can be purchased securely ONLINE via Eventbrite.